A very attractive and comfortable cottage in a beautiful area of the country. Lovely views from the garden towards Hay Bluff. Thank you so much for your great feedback for Woodland's Cottage. I agree, the views are gorgeous. Great location for driving to interesting places. The cottage was clean and quiet with wonderful views. Excellent welcome hamper. Very friendly and helpful hosts. A very pleasant week. We book 1or 2 Rural Retreats cottages per year usually - this is the poorest standard property we have stayed at . Generally tired and could DEFINITELY be a lot cleaner . 2. previous occupants used towel and clothing still there . 3. I had to clean hairs from shower , sofa and around toilet before use . 6 . had to scrub tons of algae off garden furniture before we could use . Woodlands Cottage normally has lovely reviews and I am sorry that you were unhappy with your stay. Unfortunately, as you arrived two hours early, the housekeeper did not have the time to prepare the property completely and it is such a shame that you did not report these issues during your stay. Comfortable cottage in lovely surroundings. 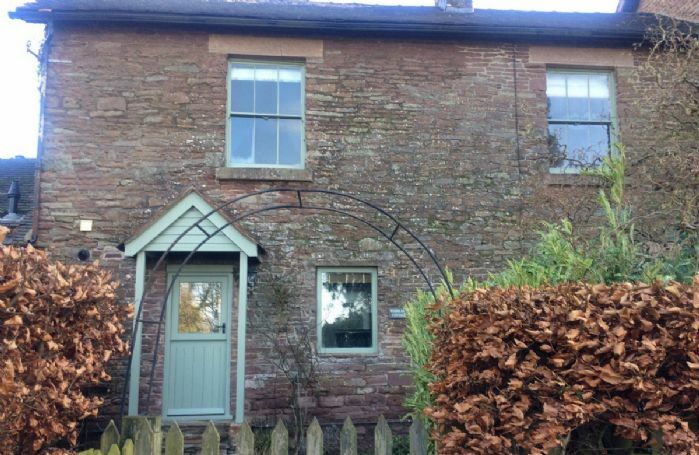 Comfortable cottage, quiet location, enjoyed the local produce in the hamper, well situated for exploring Herefordshire & Worcestershire and the many National Trust properties close by. The cottage needed a little TLC in places: tap in the kitchen was coming away from the sink, guest towel rail in the family bathroom needed resecuring to the wall & some of the lower cupboard doors in the kitchen stuck. Thank you for your review of Woodlands Cottage. I am delighted you found the cottage comfortable and I have passed on your observations to the owner. Fantastic cottage, very well equipped. Jane and Brian were great hosts. Would definitely recommend and am planning on visiting again in the summer. We went for lunch at two of the pubs recommended in the guest book - Live and Let Live and England's Gate - both of which were great. 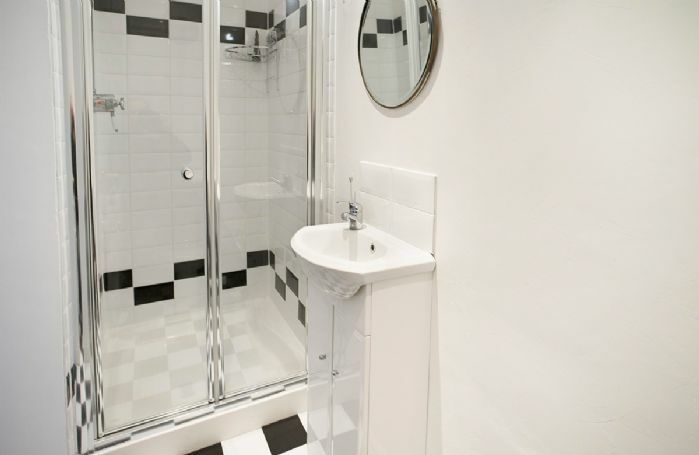 Beautiful charming cottage and very well equipped. Jane the owner was delightful and cooked four of us a fantastic meal. The enclosed garden was an added extra for our two small dogs who were able to roam around to their hearts content. Loved the welcome hamper best we have ever had full of gorgeous items including a bottle of wine. Another lovely review for Woodlands. Thank you so much. Good quality with some high value unusual features. Hosts next door, helpful but unobtrusive. Truly beautiful cottage in an idyllic setting. 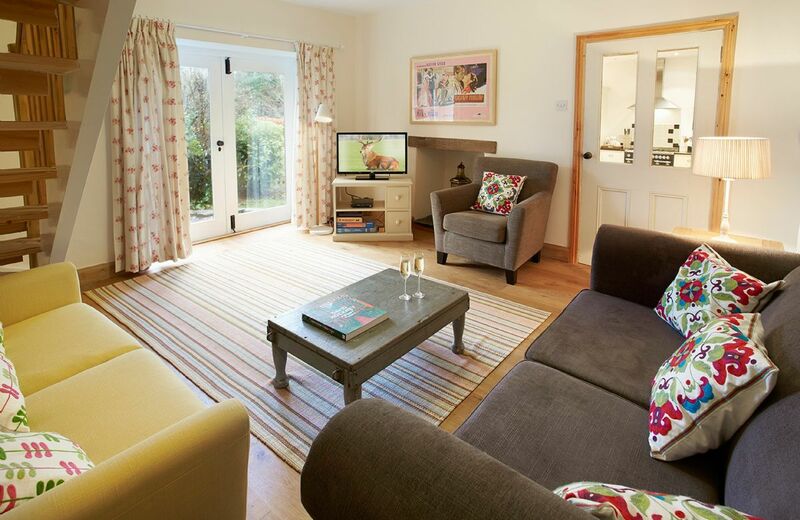 Charming fully enclosed garden which our little dog Poppy loved exploring and the cottage itself was beautifully decorated and exceptionally well equipped with great attention to detail. Loved it will definitely be back !! 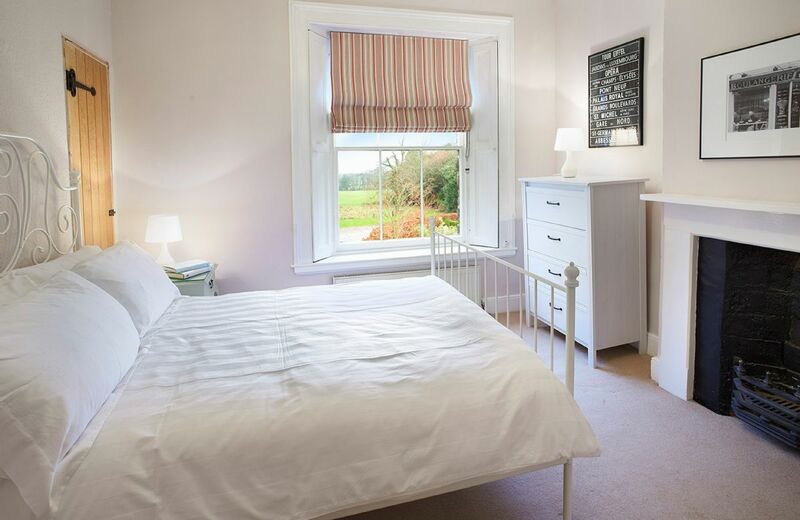 What lovely feedback for Woodlands Cottage, thank you so much. 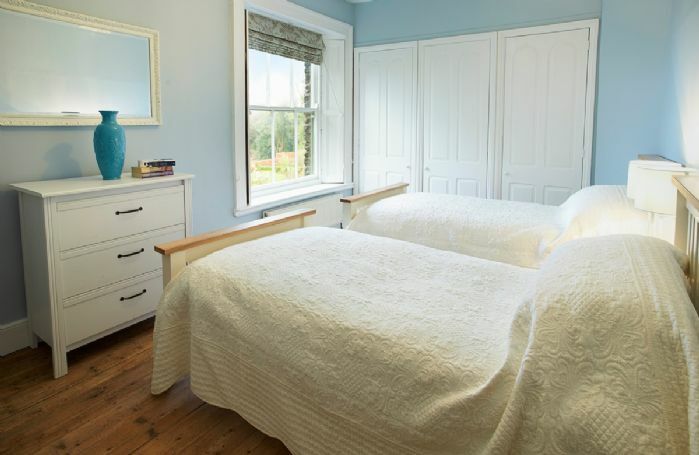 Well-equipped, very clean, quiet, lovely location, genial owners - Brian & Jane - next door (but not at all intrusive), and Jane will cook wonderful dinners for her guests given 24 hours' notice. What's not to like? An absolutely beautiful cottage, great location, we had a wonderful stay. Please pass on our thanks to Brian and Jane, lovely hosts, friendly and helpful. Warm, clean, comfortable, well appointed. Friendly and helpful owner. Could buy fabulous home-cooked dinner. 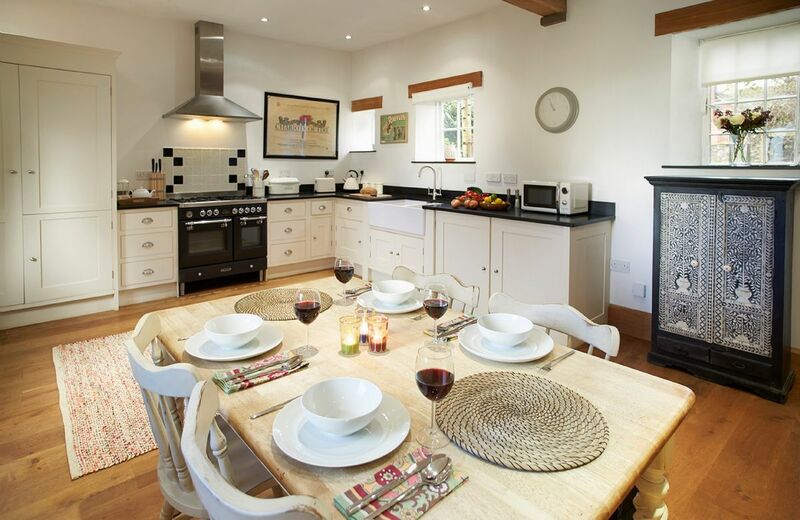 Woodlands Cottage is a warm, welcoming, stylish stone dwelling, once part of the Victorian Manor House next door. 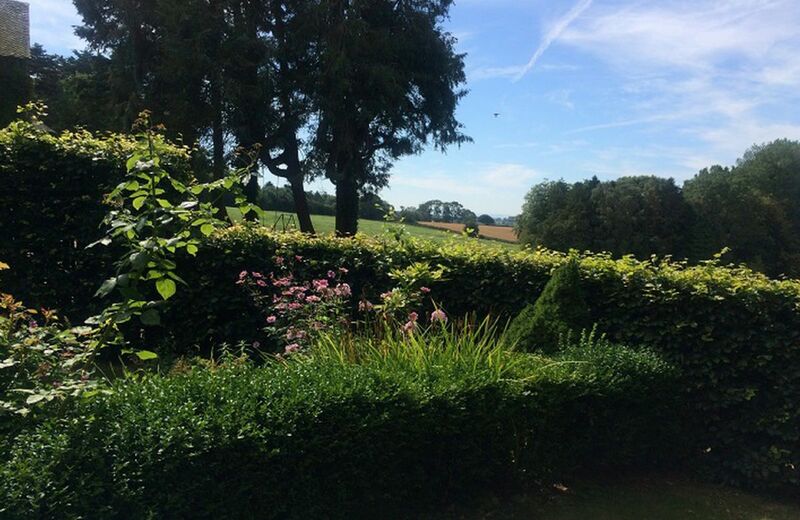 It offers high quality accommodation for up to four guests and sits in a beautiful, enclosed cottage garden within the grounds of Docklow Manor. 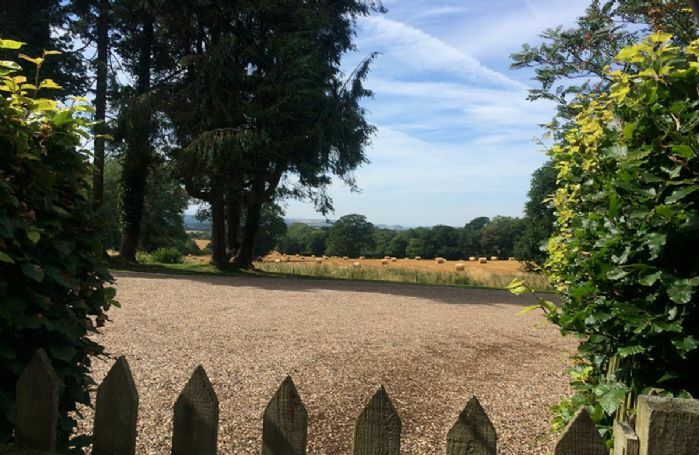 Guests are welcome to explore the extensive grounds and children may use the tree house, trampoline and table tennis available in the manor house and grounds. 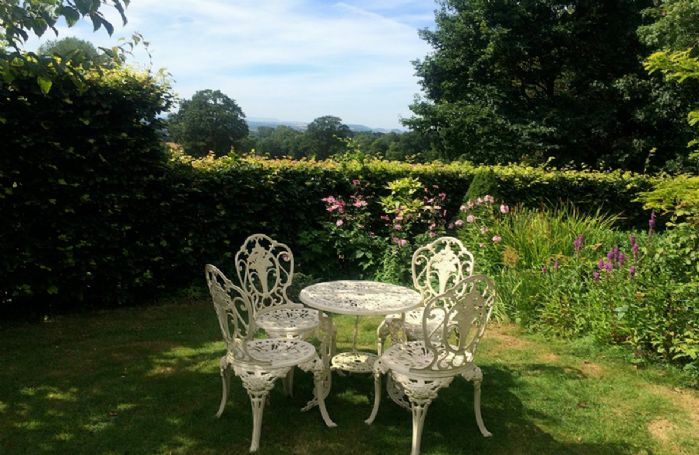 The views west towards the Black Mountains are breath-taking and there are strategically placed benches for enjoying the sunset with a glass of your favourite wine. Situated in the small hamlet of Docklow in rural North Herefordshire, consisting of scattered dwellings and a pretty church. 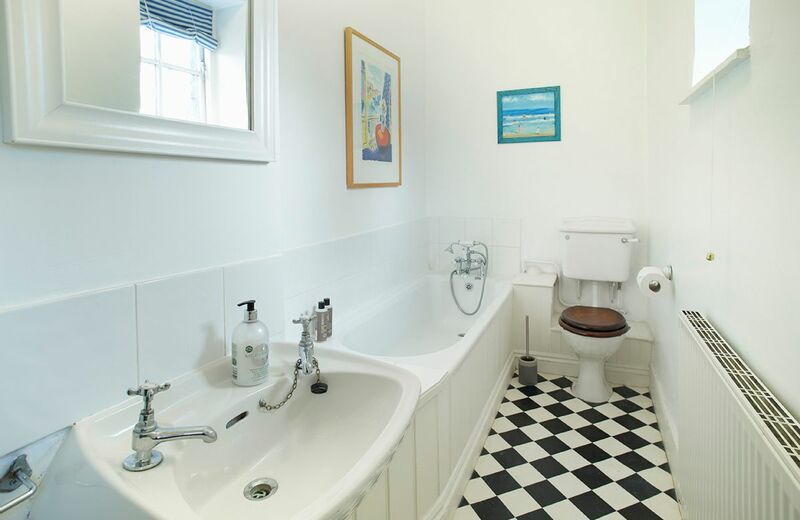 There are a number of charming, traditional Inns, just a short drive away. Footpaths are marked to enjoy the lovely surrounding countryside. One bathroom and one en-suite shower room. Originally part of the kitchen wing of Docklow Manor, with great character and large sash windows. Use of table tennis by arrangement with owners. Delicious dinners can be provided by the owners at £15 per head. 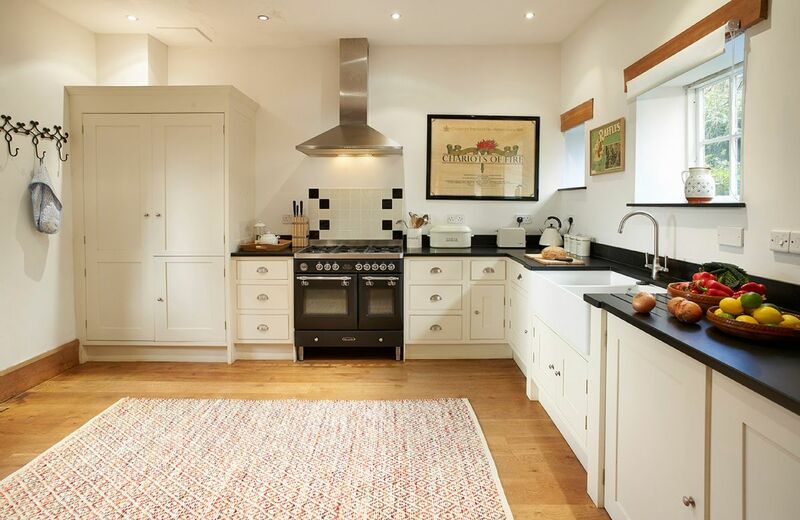 Electric range cooker with gas hob, dishwasher, washing machine/tumble dryer, microwave, fridge/freezer. Digital TV and DVD player with large selection of films. Children are invited to make use of the football nets, trampoline and tree house. This is a truly unspoilt part of rural England, an England of hop fields and apple orchards, of rolling hills, ancient timbered villages and centuries-old churches. 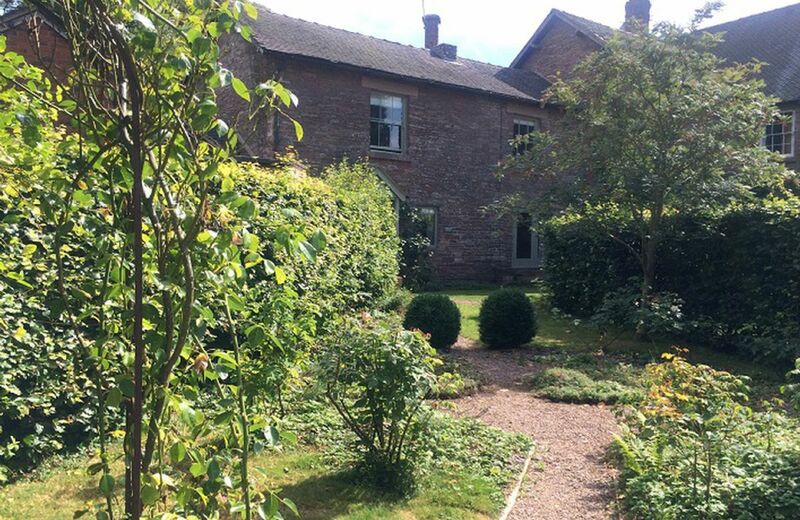 Docklow Manor is in the heart of wonderful walking, fishing, horse-riding, cycling and bird-watching country, yet is just five miles from the attractive market town of Leominster, celebrated for its many fine antique shops. A little further away are the delightful towns of Ludlow (famous for its Shakespeare festival and Michelin-starred restaurants) Malvern and Ledbury, as well as the bookshop Mecca of Hay-on-Wye with its annual literary festival.The historic cathedral cities of Hereford and Worcester are 20 and 25 miles away respectively. The marvellous castles of the Welsh border towns are within easy reach, as are some of England's finest National Trust houses and formal gardens. Stratford-upon-Avon is just over an hour away by car. There are weekly markets in Ludlow, Leominster, Bromyard and Ledbury, and numerous small shops selling superb local produce.We can arrange excellent fishing for you at the nearby Docklow Pools, as well as horse-riding and cycling. There is a golf driving-range five miles away, and Kington, England's highest golf course, is a 35-minute drive. It is a terrific course, well worth the trip. For those who enjoy walking and bird-watching, Docklow Manor could hardly be better located. We are happy to provide guests with packed lunches in cool bags (with 24 hours' notice). There are several working farms nearby where children are permitted to milk the cows and feed the lambs. We are also particularly well located for easy access to some of the country's most scenic racecourses. Ludlow and Hereford are 25-minute drives, Worcester is half an hour away, and Cheltenham about an hour.